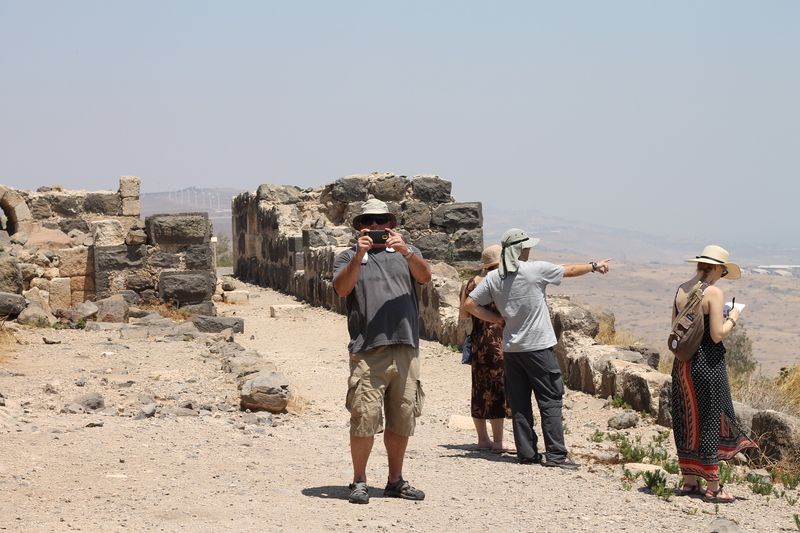 Scratch one more item off the bucket list…Visit Israel. 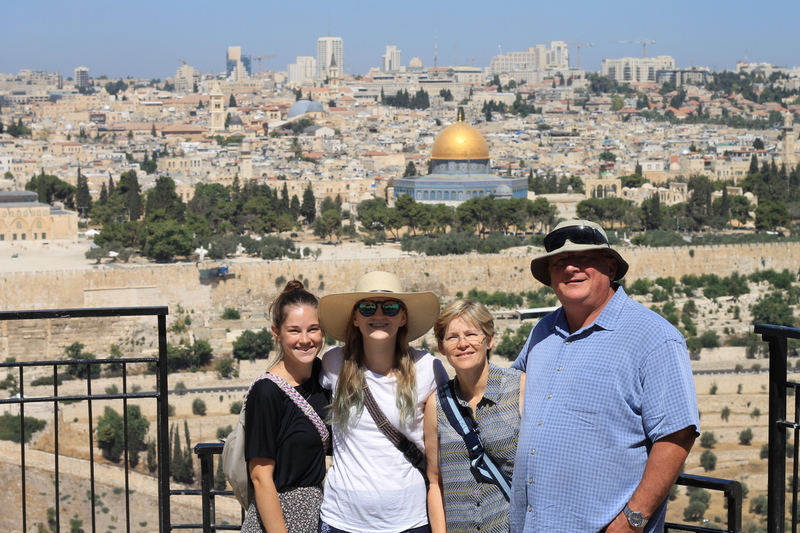 This past summer, July 2016, the family spent a week touring Israel: Tel Aviv, Jaffa, Jerusalem, Tiberias, Sea of Galilee, Meggido, and many other sites of interest. 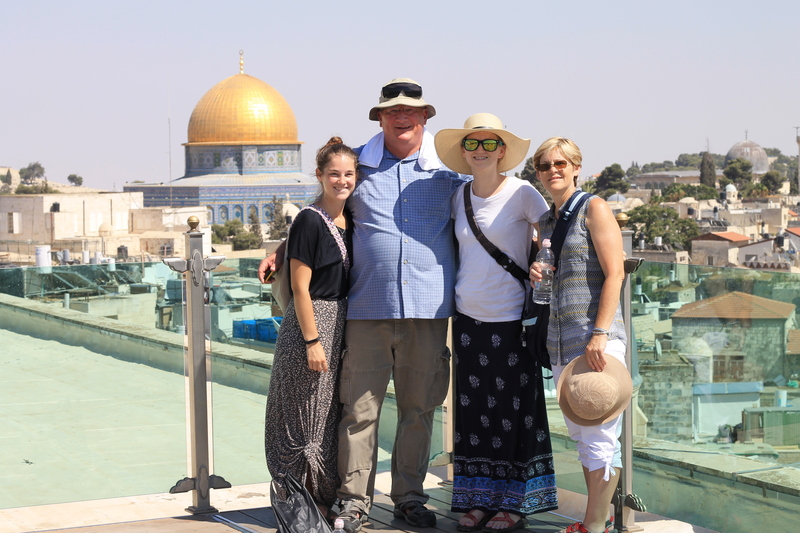 Our first day was spent with Megan, our “tour guide”, through Tel Aviv and Jaffa. 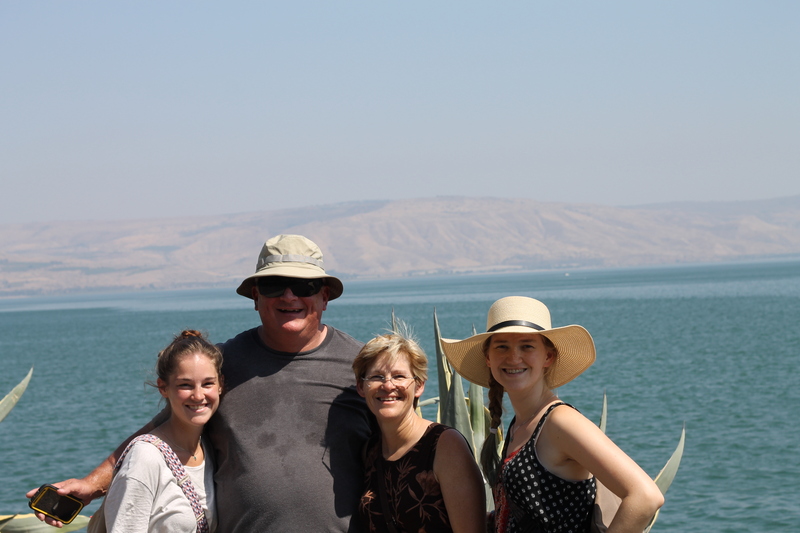 We enjoyed the sites and busy streets of Tel Aviv and to old port city Jaffa. The next morning we met with our next tour guide, Yuval “Val” Kalev, who picked us up in Tel Aviv and lead us over four days through the country. Since we were a small group of four, we were able to move quickly and probably saw more sites in four days than large groups see in a week! July is not a great time to go because of the heat, 100º a couple of days, but on the other hand there were very few tourists and we felt like many places were reserved just for us. We saw a beautiful land and, at the same time, a harsh land. 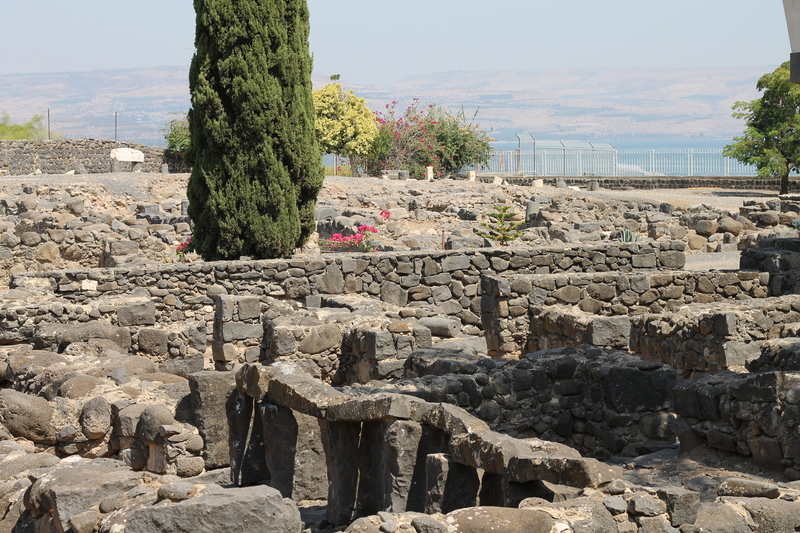 It was a gracious experience to see the land of God’s chosen people and the places Jesus would have walked. I was also grateful to have a Jewish guide who was willing to share his thoughts on Jesus and how the Jews today view Jesus. Some are positive while others are not. 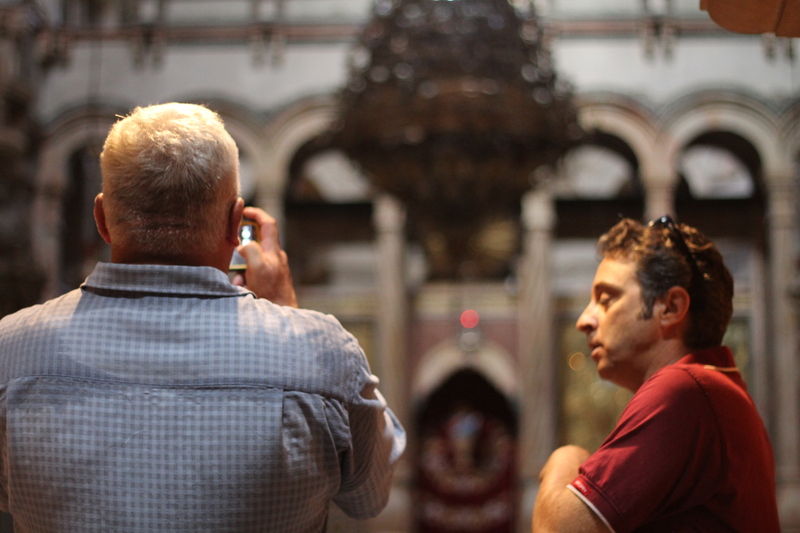 Part of the negative views relate to how Christians have treated Jews throughout history. Yet, many Jews today are welcoming to the support that Christians are showing for Israel. Political leadership, though, is a completely different story! I also enjoyed hearing Val’s theories on Jesus that differ somewhat from scripture, like an alternative Bethlehem location or Jesus’ work as a carpenter (maybe a shepherd). His theories match well with the historical evidence and thus made for interesting discussions. 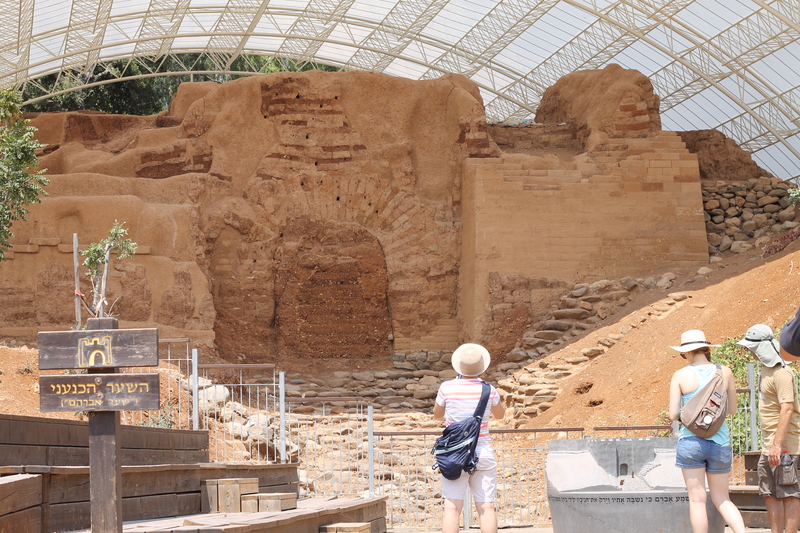 While many of the sites are “possibly” the places where Jesus may have preached or healed or suffered, one place that was a slam dunk was Dan where the oldest gate is located and Abram would have entered the city. Really hot there that day so the coldest spring in which you will ever put your feet was a welcomed stop. We cannot know for certain where Jesus’ tomb was or the place the cross would have stood, but those holy sites are marked and adored by millions of pilgrims and tourists. It is not that crucial that we know where everything happened in Jesus’ life, death, and resurrection, but the power of our faith is rooted in the gospel stories and being in the vicinity was good enough for me! From the Mt. of Olives overlooking Jerusalem. Here we are again! On the other side of the dome! 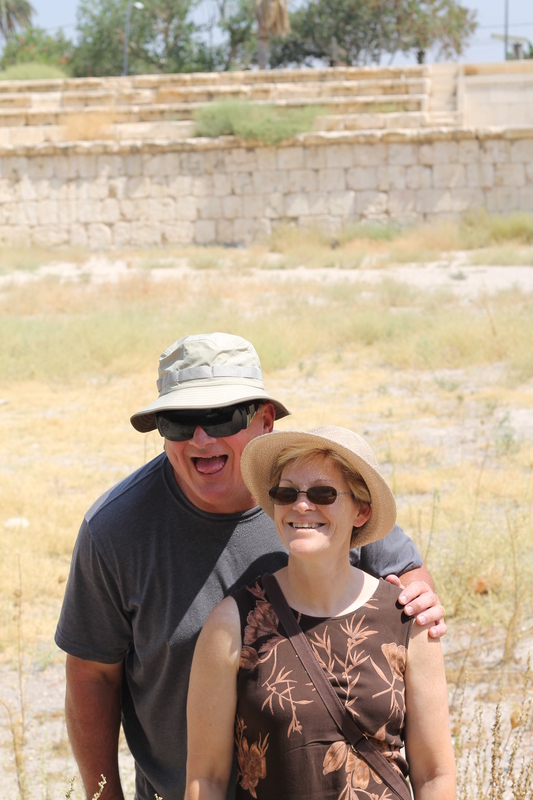 Val teaching me everything there is to know about Jerusalem! Barb and I getting ready to compete in the gladiator arena! One cool crusader fortress, but no way cool in a weather sense. Abram walked up those steps! Meggido. This place is old! This entry was posted on October 14, 2016 at 7:37 pm and is filed under Musings. You can follow any responses to this entry through the RSS 2.0 feed. You can leave a response, or trackback from your own site.